A lot has been written about malt liquor sports drink hybrid Four Loko lately. With Michigan's recent ban of the drink, it is possible other states will soon follow suit. Will this be the city's next Zima? Lower East Side restauranteur Eddie Huang fears the worst. "We've actually been stockpiling Four Loko for the apocalypse," he told Eater. Huang, owner of lower east side joint Xiao Ye, has pledged to host an all-you-can-drink deal at Xiao Ye every Thursday to fight against the ban. 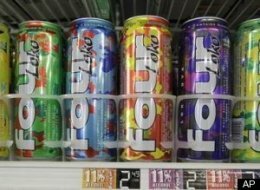 "Four Loko is not a drink," he explained, "it is chlorine in the gene pool. It weeds out all the people unfit for the next generation, like Darwin in a can." Xiao Ye, Four Loko Thursdays. 6pm to 11pm all you can drink Four Loko $15.